Growth is a normal part of the development of any organism; however, as part of the repair process, the potential for tissue growth is variable and depends on the organ system in question. Some organs are able to regenerate cellular structure to provide vital function, while others can only undergo repair by a scarring process with loss of organ function. 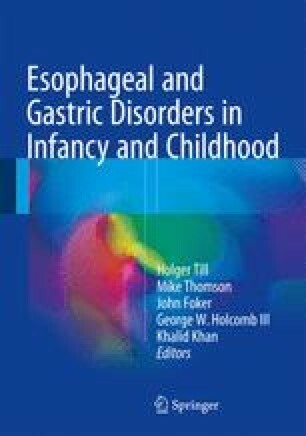 Here we examine the principle of growth of the esophagus using traction applied to the esophageal pouches for repair of long-gap esophageal atresia. In particular, we discuss the published data on the use of esophageal growth for repair and how the concept has been perceived and applied outside of the initial experience of Dr. J.E. Foker at the University of Minnesota (see Chap. 45).